Can you believe it…last time we wrote about our delicious organic coconut ingredients was in 2016! We are delighted to share that we have extended our coconut portfolio. Here is information on our new items. Flour with no wheat or gluten, but high in protein (about 20%) and high in fiber (35%)! Our organic coconut flour is simply made by drying shredded organic coconut meat, pressing it to remove the oil and then grinding the defatted coconut meat into flour. The oil extraction is purely mechanical (no chemicals are used) and no preservatives or bleaching agents are added to the flour. It is naturally a white color and thanks to its low fat content (<15%) it remains stable for about a year. Is there only one type of coconut flour? We offer plain coconut flour but we also offer a whole meal version made of coconuts from which the brown skin was not removed. Whole meal coconut flour contains more fiber and is a slightly darker, beige color. Our coconut flours are available at different fat levels from 7 to 15%. Coconut flour is great substitute to wheat flour for grain-free or gluten-free baking applications. While it has a light, nutty flavor it is still very versatile and can be used for both sweet and savory products. Also, being grain-free, coconut flour is ideal for making “Paleo” products. It looks like our coconut flour, but it's not coconut flour! Our organic coconut milk powder is made by shredding and pressing fresh organic coconut meat to extract the coconut milk. The coconut milk obtained is then standardized to a desired fat level, spray dried and reduced to a smooth powder. The fine powder is easily dispersible in solution thanks to the addition of a small amount of organic tapioca starch (maltodextrin) and organic acacia gum. Is there only one type of coconut milk powder? We have a 65% fat version and we can also supply a lower fat option. What do you use coconut milk powder for? Coconut milk powder is a dairy-free and vegan ingredient, which can be used in ready-to-mix, powdered beverage applications, protein powders or anywhere you use coconut milk. To make a liquid coconut milk all you have to do is to reconstitute the powder to a solution, mix it and it is ready to use. 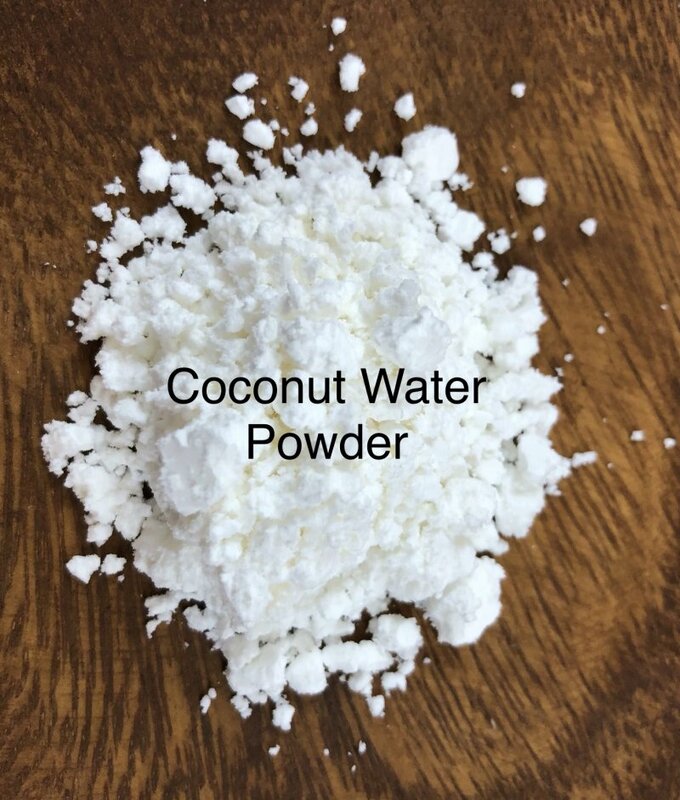 The advantage of a powder is that it is a very stable product and once a pack is opened it can be stored and used for a longer period of time than regular liquid coconut milk. Yes, coconut water in powder form is now available! Our organic coconut water powder is made by spray drying organic coconut water. This fine powder is easily dispersible in solution due to the addition of a small amount of organic tapioca starch (maltodextrin). Is there more than one type of coconut water powder? We have plain organic coconut water powder but we can also offer a lemon flavor version made with added organic cane sugar and organic lemon extract. What do you use coconut water powder for? Coconut water powder is inherently a fat-free product and since it is a source of potassium and other electrolytes, it is typically used in dry beverage mixes, sports drinks and supplements. It comes frozen in different shapes - cubes, fingers or shreds. 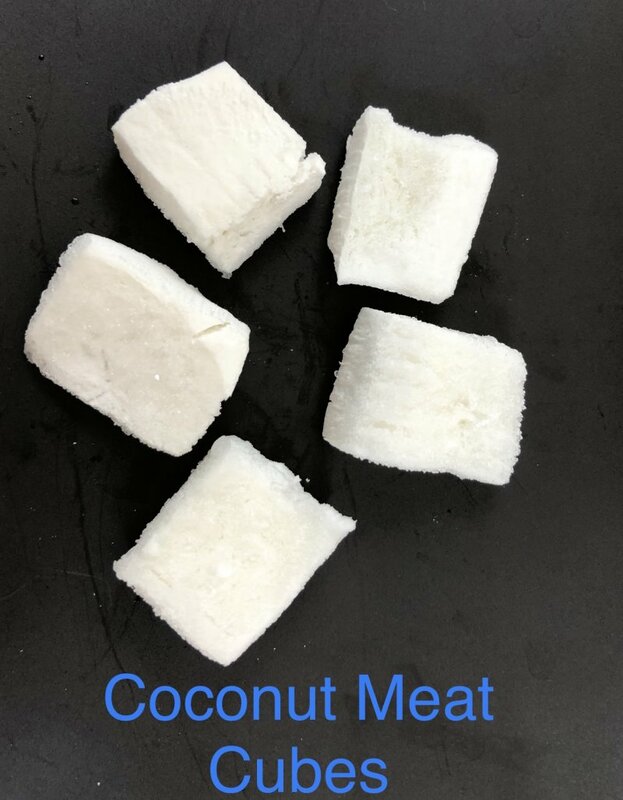 Our organic frozen coconut meat is prepared using 100% fresh coconut meat (no stabilizers or other additives are used) that is cut into desired sizes and shapes. Coconut cubes are 0.8 x 0.8-inch cubes. Coconut fingers are approximately 1.5 to 2.5 inches long and ⅛ to ¼ inches in width and thickness. Our shredded coconut meat is simply shreds of frozen coconut. What do you use coconut meat for? Because it is frozen when it is very fresh, the coconut meat retains a fresh flavor and aroma and it is typically used in smoothie mixes with other IQF fruits. It can also be used in ice cream, yogurt, or even topping for soup, salad and other foods. These smooth and creamy flakes have joined our line of creamed coconut ingredients. 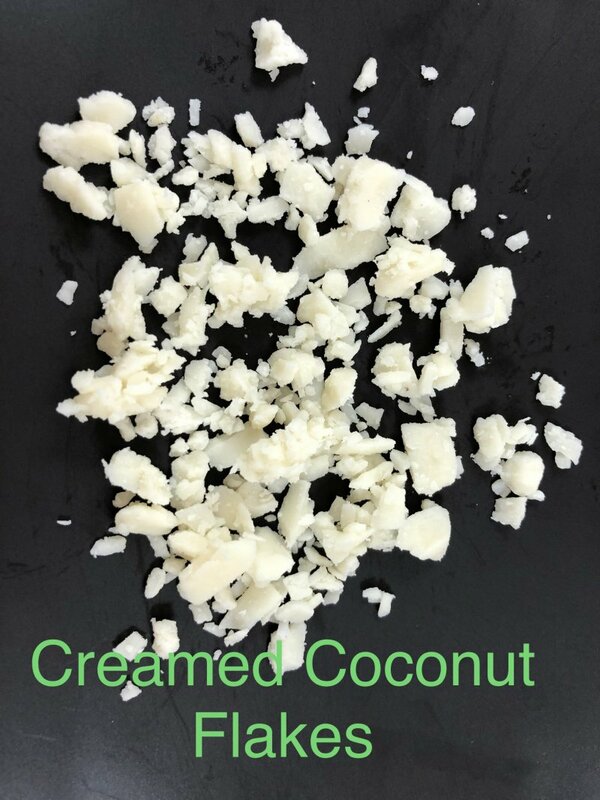 To make our organic creamed coconut flakes, the organic coconut meat is dehydrated then finely ground into a paste with very fine particles (30-50 micron particle size). The coconut paste solidifies and is then shaved into flakes to provide quick melt properties when incorporated with other ingredients. Our product does not need to be kept frozen, but remember that like every creamed coconut, it has to be stored at or below 68°F or the coconut oil will melt and the product may separate. What do you use the flakes for? 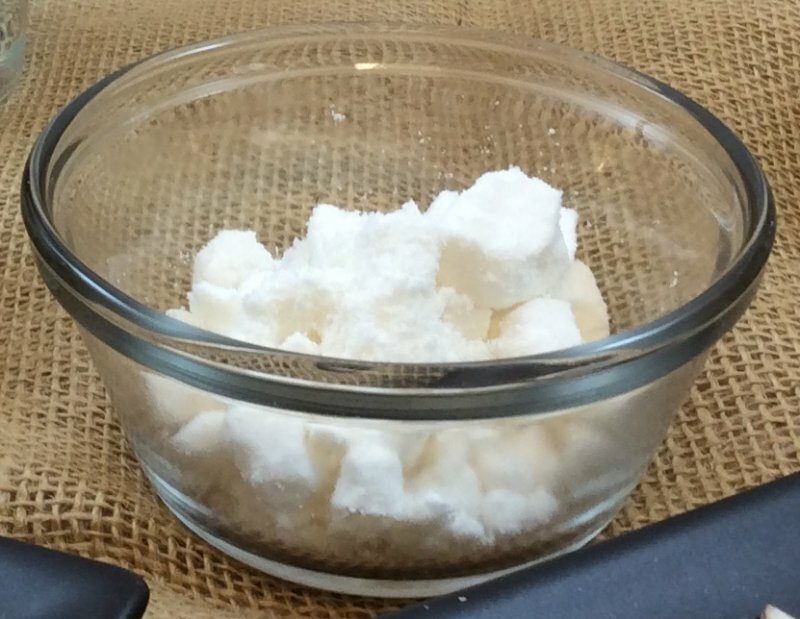 Flakes can be added to a liquid mix of ingredients as the flakes have a quick melt property. They are used in ice cream, smoothies, beverages, sauces, soups and fillings. And last but not least, here are a few fairly new organic coconut items. VCO is made from fresh organic coconuts via a cold press process. It is pure white when solid and translucent when liquid. Virgin coconut oil has a high concentration of medium chain fatty acids, which is important for some supplement applications. VCO has a variety of uses as an ingredient and as cooking oil. Our coconut milk supplier implemented a state-of-the-art blending and aseptic processing system capable of making a shelf-stable coconut milk with enhanced flavor retention and appearance (better color, less water/coconut meat separation).Our coconut milk does not contain anything else but coconut - no emulsifier or stabilizers are added. It can be a great substitute to dairy milk for baking or smoothies. These items are the staples of our line but we have two new items, organic toasted and untoasted coconut smiles. To make smiles, the coconuts are shelled and not pared, leaving the thin brown layer called the testa. Our toasted smiles come salted, sweetened or flavored. 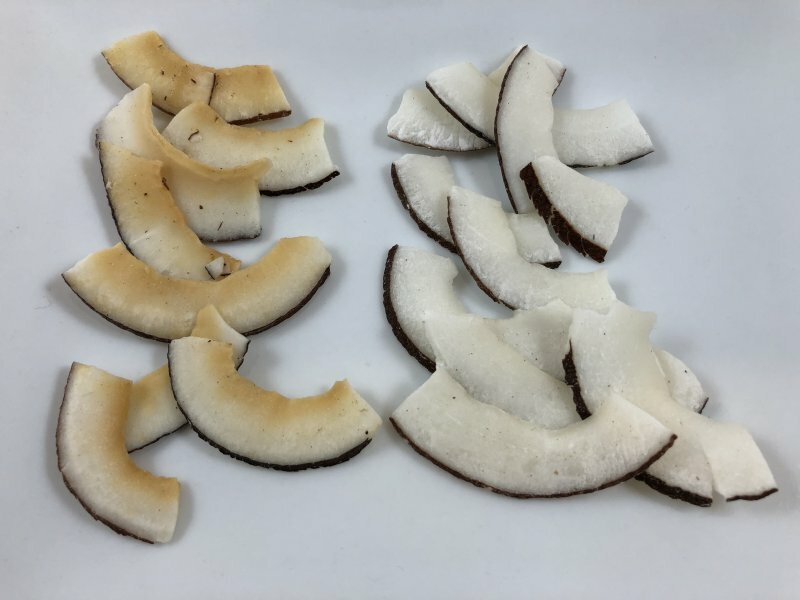 Coconut smiles are great for snacks or trail mixes and inclusions for bars. Well that’s it for new items for now. To read about our other coconut ingredients click here. All of Global Organics' coconut items are organic certified, non-GMO, kosher parve and contain no preservatives. They are made in facilities with recognized food safety certifications (GFSI, HACCP) and are third-party audited on a regular basis.